Fairtrade Skipton are set to achieve their ambition of Fairtrade Town status. 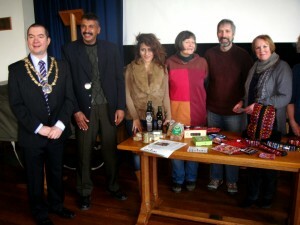 Fairtrade Coordinator, Liz Roodhouse, attended the Skipton Town Council meeting this month and gave a presentation. Following a discussion afterwards there was a unanimous vote and a resolution was passed in support of Fairtrade. Fairtrade Skipton now have a council representative on their Steering group and are ready to begin the application for Skipton to join the ranks of proud Fairtrade Towns.